-- Select a Size -- X-Small - Out of Stock! Small Medium Large X-Large - Out of Stock! 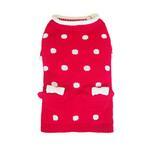 Make your dog's day pop with this adorable polka dot Lala Dog Sweater in Red! 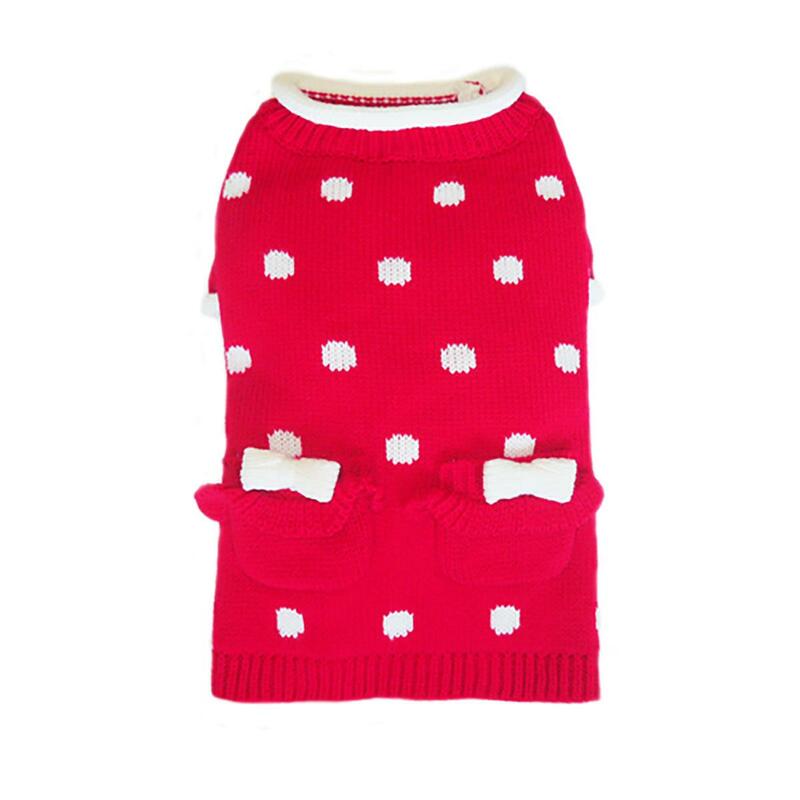 The Lala Dog Sweater by Pooch Outfitters is a must have for your sweet little girl! The popping polka design is accent with white bows on pockets and trim rolled trim on neck and sleeves. Made of 100% acrylic. Check out this sweater in Pink. Posted On 02/02/17 by Lisa F from Canal Winchester, OH Yes, Lisa F recommends this product! 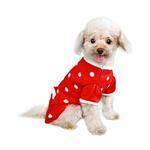 Love this sweater dress It's very cute and looks adorable on my toy poodle.